Advent Calendar Day 23: Lots of Fresh fruit and veg left! Advent Calendar Day 23: Lots of Fresh fruit and veg left! We are closing tomorrow at 3pm and today is the last day we will be serving food in the Tea Room for 2013. 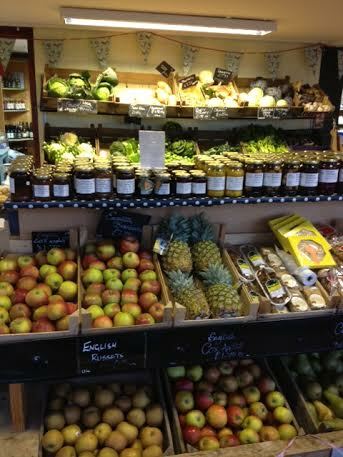 There are still lots of fresh fruit & veg, cut flowers, pickles, jams…..Would be lovely to see you today! 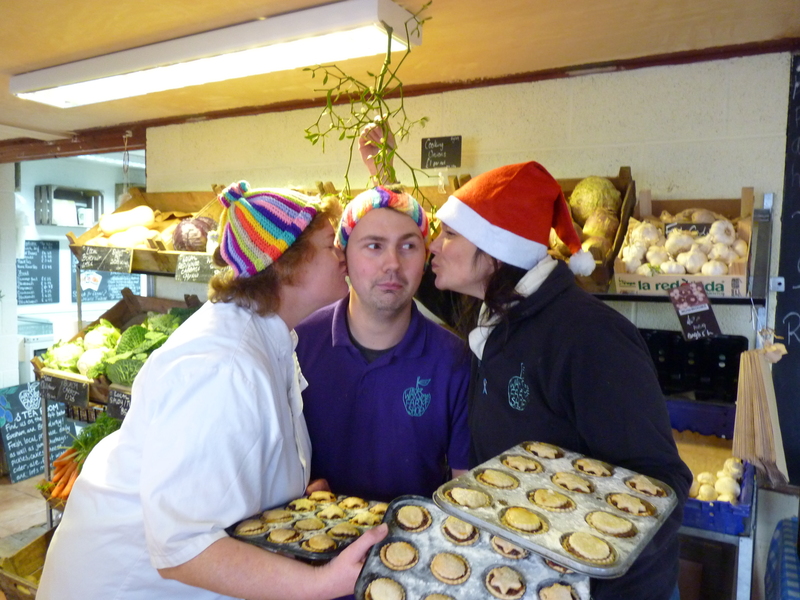 Advent Calendar Day 14: Chef busy in the Wayside Kitchen! Advent Calendar Day 14: Chef busy in the Kitchen! 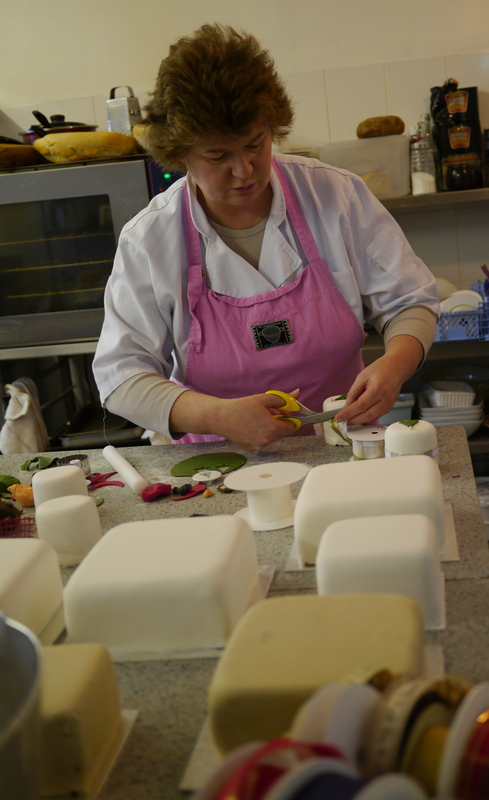 Our lovely chef/cook Corrin has been busying away making all of our delicious Christmas Cakes and Puddings with the help of Alina ready for you all to enjoy! Why not pop in, say hello and pick your Wayside Christmas Cake up too! Advent Calendar Day 5: The Puddings are here! Advent Calendar Day 5! The Puddings are here! 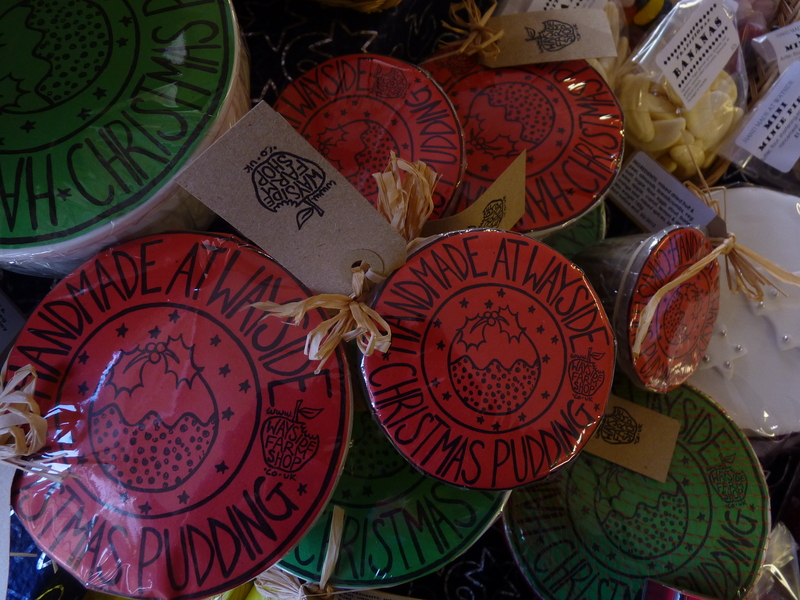 The Wayside Christmas Puddings are now ready for you to take home and cherish until Christmas…or if you can’t wait, to enjoy one cold evening with a nice mulled wine! Why not come on in and pick yours up today [or try it in the tearoom]…get yours before they all go! And this year they are scrummier than ever…the proofs in the pudding!!! WAYSIDE ADVENT CALENDAR DAY23 GETTING IN THE MOOD! But is that tea cosies they are wearing? 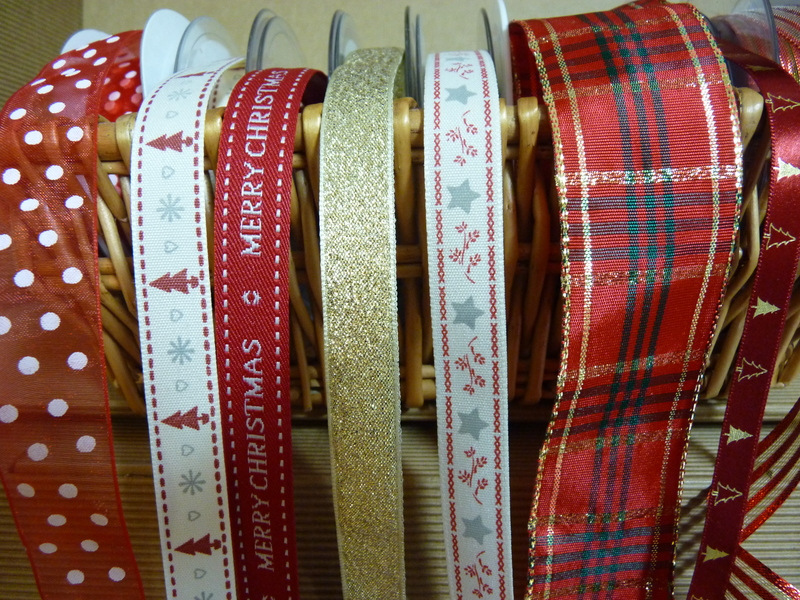 Our christmas ribbons supplied by Tom Morris the lovely ribbon man!! Our fresh produce has been either been made at Wayside, grown or sourced locally. We love making our delicious homemade jams, marmalade, chutney, pickles, pies, quiches, cakes and scones. There's nothing like the smell of freshly baked bread or the convenience of our 'Field Fare' range of frozen scoop vegetables and fruit. We have license to sell beer, wines and cider, featuring delicious local scrumpy cider, Weston's cider, fruit wines and local bottled beers including 'Hook Norton' and other novelty labels. Why not come and try. In addition to all our wonderful produce we specialise in fresh cut flowers, made-up pots and bowls. For full floral service visit or contact us below.